In this adapted extract from Policy for Play: responding to children’s forgotten right, Adrian Voce summarises the importance of play and the barriers to its full enjoyment that modern children face. This extract was first published on the Toy Industries of Europe’s Importance of Play website. While the precise nature of play remains elusive and indefinable, several academic disciplines – from evolutionary biology to developmental and depth psychology and the emergent neurosciences – each agree in their different ways that children’s play is central to who and what we are. It seems clear from these various studies that playing has a vitally important role, both in individual development and in human evolution, but that its primary purpose is simply to be enjoyed. The great play scholar Brian Sutton-Smith famously said, ‘the opposite of play isn’t work, it’s depression’; the act of playing brings about ‘renewed belief in the worthwhileness of merely living’. Playing is children’s default setting. After being fed, clothed, rested and feeling reasonably secure, their first need is to play. It is a deep and instinctive biological trait: the way that the young orientate themselves and discover how to engage with, navigate and co-create the world of which they are a part. For children, playing is the main medium for self-exploration and self-expression. They first form their self-identity by instinctively rehearsing and developing their emotional and physical repertoires through play. It is how they first encounter and learn to manage risks. First and foremost, for children, play is fun. This compels them to seek opportunities for it in all circumstances and contexts. It is an evolutionary imperative, which means that playing children are acquiring the self-confidence and developing the mental and emotional capacity and adaptability to not only deal with what life might have in store for them, but also to live it fully, moment to playful moment. Children’s capacity to create such moments is perhaps the only definition of their resilience that we need. That children seek opportunities to play wherever and whenever they can should tell us something; but the vital role of play in child development is often widely misunderstood by policymakers, who can frequently be heard to say – as they contrive to manipulate and direct the play of children towards the acquisition of narrowly defined knowledge and skills – that there is no difference between play and learning. This dangerously misses the central point about playing, which is that children do it simply because they need to, because it is in their nature. Learning is incidental, unless it is to become better at the game. To play the way that their biological instincts demand, children need space: cultural, social and emotional as well as physical and geographical space. That is, they need spacious environments that afford play opportunities, and they need permission and confidence to use them without the encroachment of adult agendas. Because the need for play is universal, it follows that these environments must be part of the public realm, accessible and available to all children. But play’s self-directed nature and practically infinite variability calls for a different type of public realm from that which has increasingly become the norm. Children need a degree of freedom that is now only rarely granted to them. Space to play is increasingly controlled, dominated or narrowly prescribed to children by adult society. By a range of measures, the space and opportunity for children to play is diminishing. Most pre-teen children in modern Britain no longer play out in their local neighbourhoods. Their independent mobility or ‘licence’ to come and go unaccompanied was drastically curtailed during the latter quarter of the twentieth century and does not appear to be recovering. It is widely considered dangerous, socially unacceptable or both for children to be outside without adults. Mostly, during out-of-school hours, they are either inside – doing their homework, watching TV, playing computer games, ‘chatting’ (i.e. texting) on social media, out somewhere with adults or in an after-school club. If they are lucky, they might be at the park or local playground, but even here, during the primary years, they are by and large closely supervised. This is the age of the ‘battery-reared child’ in which the play of children – which has been a fundamental, instinctive part of the human story, integral to our evolution – is being confined and constrained like never before. Throughout human history, until very recently, children have tended to play – and had the freedom to play – in the streets where they lived, or the equivalent common spaces between and around their dwellings. But this is 2016, and without projects like Playing Out, organised and promoted by local parents who know what is being lost, ‘free-range kids’ are disappearing from public space – have indeed disappeared altogether from many places, certainly in their primary years. This is the age of the ‘battery-reared child’ in which the play of children – which has been a fundamental, instinctive part of the human story, integral to our evolution – is being confined and constrained like never before. Children’s freedom to play outside is being trumped by the real risk of death or injury from traffic, the perceived threat from predatory strangers or a range of demands on children’s time, from homework to extra-curricular classes and clubs. This change – which many experts, including the government’s own, believe has profound implications for children’s health and development as well as the nature of society itself – is neither inevitable nor irreversible but rather a result of decisions about how we conceive, design, develop and manage public space and public services and how they each respond – or do not respond – to children, and what science tells as about their nature and the nature of their need to play. 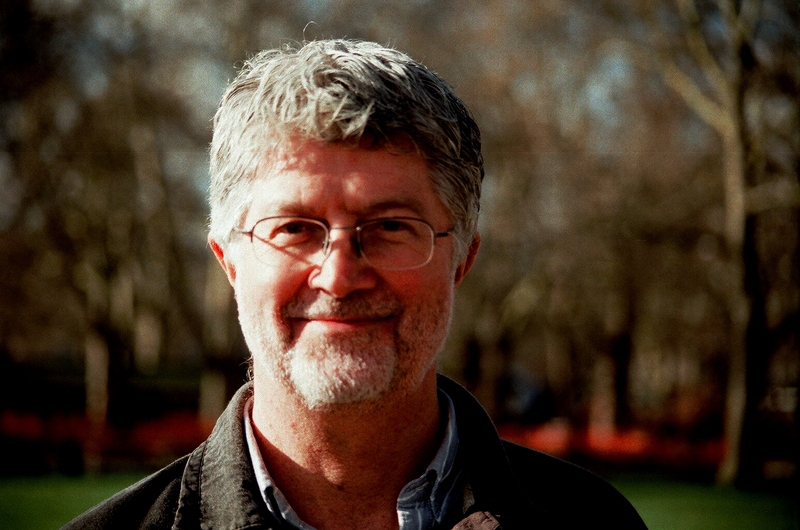 Adrian Voce OBE is a writer and consultant on children’s play. 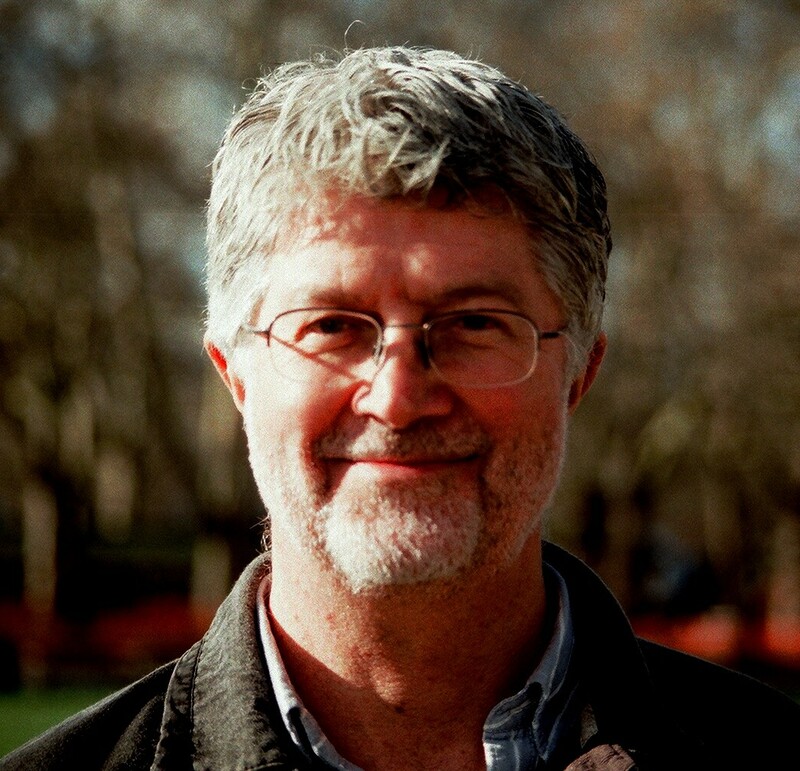 He is a former chair and director of the Children’s Play Council and was the founding director of Play England, in which role he was the leading external advisor on the government’s national play strategy for England. Around 5,000 children under the age of 16 die or are seriously injured on Britain’s roads each year. Nearly two in three road accidents happen when children are walking or playing (AA Motoring Trust, 2014). Over four-fifths of completed abductions recorded by the police involve a perpetrator known to the victim. Less than one-fifth is committed by a stranger (Newiss and Traynor, 2013). In this second of a two-part blog about the prospects for play policy under the next government, Adrian Voce argues that playwork should be at the heart of the debate, and that the best hope for progress is a Labour victory tomorrow. Will adventure playgrounds like this survive another five years of austerity? Photo: Mick Conway. With none of the parties featuring children’s play in their manifestos for tomorrow’s General Election – or, indeed, elsewhere in their campaigns in any positive sense – advocates for play policy face a huge challenge, whoever wins (or loses least badly) tomorrow’s vote. The Children’s Play Policy Forum (CPPF), which commissioned a research review from Tim Gill after meeting with the Cabinet Office last year, appears to believe it has a dialogue with the incumbent government, upon which to build. Its proposals have the ring of a public response to a private discussion: some of them couched in terms that seem part of somebody else’s agenda. ‘Encouraging appropriate play in public space, while reducing neighbourhood conflict and the resulting pressure on police time’ or ‘support for staffed play provision to test social prescription health and well-being initiatives’ are certainly not ideas that seem to owe much to the Playwork Principles or Best Play (NPFA et al, 2000). Using the language of existing priorities to persuade a government to adopt your own is a sometimes necessary ploy in the policy game, but one has to wonder, in the current climate, whether the possible rewards are worth the compromise. Any version of a new Conservative-led government – to meet its deficit reduction targets, not to mention its ideological mission – will need to preside over such a radical diminution of the public realm, such a break up of what is left of the universal networks and services to meet the common good, that the concept of public play provision, engendered and supported by government (national or local) with any kind of consistency or reach to the children who need it most, will recede into the past. With no obvious contribution to make (Tim’s best efforts notwithstanding) to an economic model that knows the cost of everything and the value of nothing that cannot show a monetary return, children’s play is unlikely to get any meaningful help from five more years of a Tory government, whoever might join them in forming it. Whatever crumbs the Cabinet Office may again offer in its brazen attempts to bribe the voluntary sector into colluding in the pretence that the Big Society is anything other than a pretext for savage cuts to public services and welfare, let us not be fooled that any of its programmes will amount to an impactful or strategic national policy for play. If, however, Labour’s share of the vote holds up – and it holds its nerve in the whirlwind of speculation, negotiation and media scaremongering that is likely to erupt on 8 May – sufficiently to form a government that lasts longer than a few months, we will again have an administration that is, at least in principle, interested in how to support children’s play: and one with a track record on play policy (early demise of the Play Strategy notwithstanding), that has been admired around the world. In that case, we will need to remind the two Eds and their colleagues about their rudely interrupted mission to engender and embed a universal network of playwork services and playable neighbourhoods as a vital component of the ‘public commons’ (Lammy, 2007). We will need to put play back on the agenda of a party that, when it was last in power, came to realise that a society truly taking responsibility for the maxim that ‘every child matters’ and wanting to dedicate itself to improving ‘universal outcomes’ for children, needed to see them as important stakeholders not just in their formal education but in the whole public realm. We will also need to be clear that the key challenges – how to engender community environments that children want to play in, and parents feel confident to let them – were never going to be effectively addressed by a capital build programme for new play areas whose scale was out of proportion to other measures in the strategy. This is important, not because play provision is not a good investment in the fabric of the built and planned environment – we should not acquiesce in the insidious assumption that, in hard times, society cannot afford to indulge its children in the luxury of free play – but because the more important parts of the policy in 2008-10 were not about new kit, but about embedding play as a priority within local planning and commissioning processes. Revenue, not capital, will be vital to keeping the country’s remaining adventure playgrounds open and to extending the community play development seen in places as different as Bristol and Tower Hamlets, where community activism and outreach playwork has taken on the challenge of animating public space to bring the children of diverse communities out to play in the streets and estates where they live. A less hands-off planning system is needed to ensure more liveable, play-friendly designs of public space within the plans for new, affordable housing that is a key Labour pledge. We will need to remind new ministers that it was a Labour policy in London that showed how this can be done. These are effective, ‘up-stream’ solutions to a range of social and public health priorities, as well as essential to the progression of a key policy outcome in its own right: that public space and public services support children to enjoy their childhoods. It is these objectives – not requiring major capital investment, but an intelligent, crosscutting and strategic plan – that we should be advocating for after the dust of the election has settled. We should also be making the case for a well resourced, specialist support and development body to drive the necessary changes at a national level, and to provide support to the besieged community networks of play associations and small local charities that are, in many areas, the only play champions left. It will be a long haul. Whoever leads the new government, we are in a very different world from the one of July 2007. It was then that Ed Balls, in the newly created post of Children’s Secretary, proclaimed, “I want to live in the kind of society that puts asbos behind us”, where children are free to play ‘conkers and snowballs and climb trees’, as part of a healthy childhood. By the time his Children’s Plan was launched in December the same year – a plan to transform the public realm so that space for children to play was at the heart of a vision ‘to make England the best place in the world to grow up’ (DCSF, 2007) – the financial crisis was well under way. The Play Strategy he then announced would be as short-lived as the rainbow logo that symbolised this new, broader vision for child policy. Lady Allen of Hurtwood (1968a) once exhorted that ‘each local authority should make a survey of the play areas in the parks, estates, schools and playing fields within its boundaries’ and ‘direct the various departments of housing, education, parks and health to co-operate’ with teams comprising ‘town-planner, architect, engineer and landscape architect’. A celebrated landscape architect herself, Lady Allen was also one of the original playworkers, long before the term was adopted. She did more than anyone in the UK to define, create and promote adventure playgrounds as one response to children’s need for space to play in a world that was increasingly making it scarce for many of them. What is sometimes forgotten is that her wider vision was to ‘create a total environment that gives pleasure to those who live there’ (Hurtwood, 1968b). 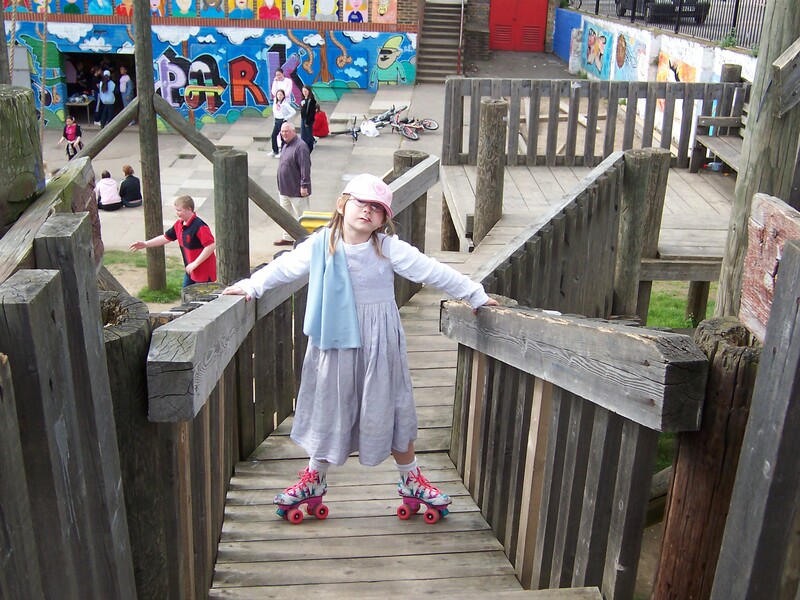 She believed planners must prioritise play space in new developments, ring-fencing budgets for it ‘so that children and their parents can feel they belong to a community that is intimate, where they can meet and chat with their neighbours’. Playwork, which can trace its origins directly back to the work of Lady Allen, has had a hard time of it under austerity, but it will be important in the campaigns to come that it is not marginalised. The suggestion that playwork has a mandate only to engage in policy affecting staffed services and the skills of their workforce, while others ‘speak for play’ in the broader sense, is a dangerous one that risks not only further decline in the profession itself, but the annexation of play policy by those outside this tradition. It was striking that none of the CPPF’s ‘4 Asks’ mentioned playwork. It is part of the playwork principles that ‘playworkers act as advocates for play when engaging with adult led agendas’ and that this role ‘should inform the development of play policy, strategy, training and education’. 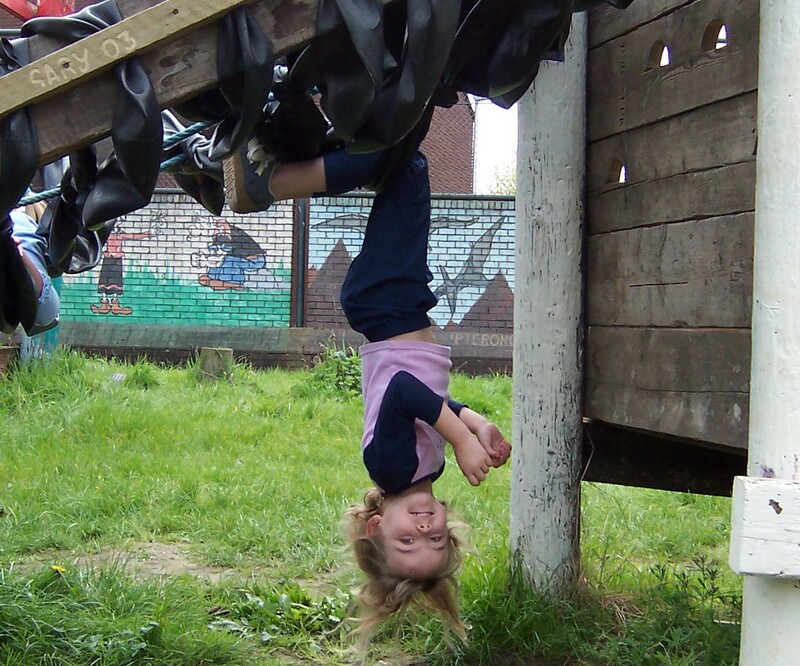 The London Adventure Playground Association, (chaired in the 60s by Lady Allen herself); LAPA’s successor, PLAYLINK; Fair Play for Children; London Play; Play Wales; the Children’s Play Council; and many local play associations, have each embodied this principle by drawing on their playwork experience, with its unique insights into how to best support children’s play, to advocate for play beyond the playground. Support for playwork development, as an important part of the children’s workforce, must be part of any new play policy; but equally important will be that other areas of the policy are informed by the playwork approach. Each of these objectives require that playwork, more than ever, needs its own national body. It was 35-40 years before Lady Allen’s clear-sighted vision for crosscutting planning, not just for play space but playable public space, was adopted, first by the Mayor of London (2005) and then the national government (DCSF, 2009). It was more than five years after CPC called for a national play strategy (Cole-Hamilton and Gill, 2002), that Ed Balls made his announcement in the House of Commons. We are used to the long haul. ‘both the children’s rights’ and the improved outcomes’ arguments for serious play policy, are actually stronger than they were seven years ago’. Yet, since the Play Strategy was abandoned, the UN Committee on the Rights of the Child (2013) has issued a comprehensive framework for government action on play, General Comment 17, and, as Tim Gill’s Play Return suggests, even if play provision is primarily viewed in policy terms as instrumental to other aims, it is a good investment. Set against the hugely less conducive economic climate, both the children’s rights’ and the improved outcomes’ arguments for serious play policy, are actually stronger than they were seven years ago. If this seems like pie-in-the-sky, it is worth noting that some of the most ambitious calls for play policy from the next government have come not from any of the different play sector groupings, but from Parliamentarians. The All Party Parliamentary Group on a Fit and Health Childhood, chaired by Baroness Floella Benjamin, has called for a new national play strategy and for the statutory play sufficiency duty now in place in Wales to be extended to England. The seriousness of the APPG and its aims are evident in its recent establishment of a working group on play to further research and develop these proposals. A report, endorsed, as the name suggests, by MPs of all parties (a list now potentially considerably longer after our letter), is expected in the summer. This activity should tell us that, while many precious spaces and services have gone, the issue of provision for children’s play has not itself disappeared from political debates about what kind of society we want, and what role government should play in it. Losing the resources that enabled us to make the argument in quite the way that we did in 2000-2007 – consulting widely, building that valuable consensus and using the media to amplify our message – may have made it harder to do so again, but perhaps it is within Parliament itself that we must now build the alliance to hold the new government to account for a proper policy and strategy for play. If Labour manage to pull it off tomorrow, do not be surprised if this time it takes considerably fewer than 40 years, or even five, to get a response. If they do not, I fear the policy game, for now, will be up. The originally published blog incorrectly stated that seven years elapsed between the Children’s Play Council’s call for a national play strategy and the Labour government’s announcement that a Play Strategy would be part of its new Children’s Plan. The period in question was, of course, five years (2002-7). It just seemed longer! Cole-Hamilton, I. and Gill, T. (2002), Making the Case for Play, London: Children’s Play Council. DCSF (2007), The Children’s Plan – Building brighter futures, London: The Stationery Office. DCSF (2010), Embedding the Play Strategy, London: The Stationery Office. Hurtwood, Lady Allen of, (1968), Planning for Play, London: Thames and Hudson. Mayor of London (2005), Guide to Preparing Play Strategies; planning inclusive play space and opportunities for all London’s children and young people. London: Greater London Authority. National Playing Fields Association, Children’s Play Council and PLAYLINK (2000), Best Play: What Play Provision Should Do For Children, London: NPFA. The roles and responsibilities of government in supporting play in England and the devolved UK . Play in early years settings, primary and secondary schools. Outdoor and indoor play: barriers and opportunities. Play training needs of the children’s workforce. Guidance about play for families. Play and the planning system. Risk and safety in play. The role of the media, advertising and the play industry in children’s play. Educational learning through play, before and during the school years; the role of technology in play. The role of playwork and staffed play provision. The health benefits of play – mental, emotional and physical; play as therapy; how play contributes to the public health agenda. The economic and social benefits of play. A government strategy for play – scope, aims and objectives. The group aims to complete its initial research and drafting phase by 18th June, and to publish its full report later in the summer. A number of play professionals, including academics, are supporting the work of the group and would like to invite others in the field to contribute. Short submissions under any of the above headings (please say which), containing specific policy proposals with fully referenced supporting evidence wherever possible, can be sent to adrianvoce@me.com on or before 30 May 2015.